It is really nice to see this car in this condition. 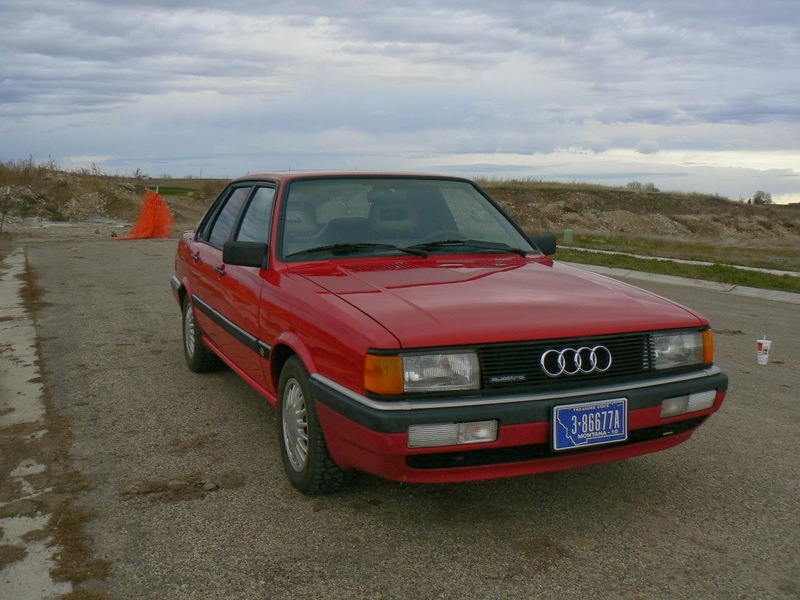 When 60 Minutes aired its (false) "Unintended Acceleration" report about the Audi 5000 back in November of 1986, it not only killed the resale value of the Audi 5000, it killed the resale value of all Audis. Older, well used Audis became worthless and were scrapped. Newer, well maintained, Audis were selling for a tiny fraction of their original price. They became beaters. They were used up and thrown away. 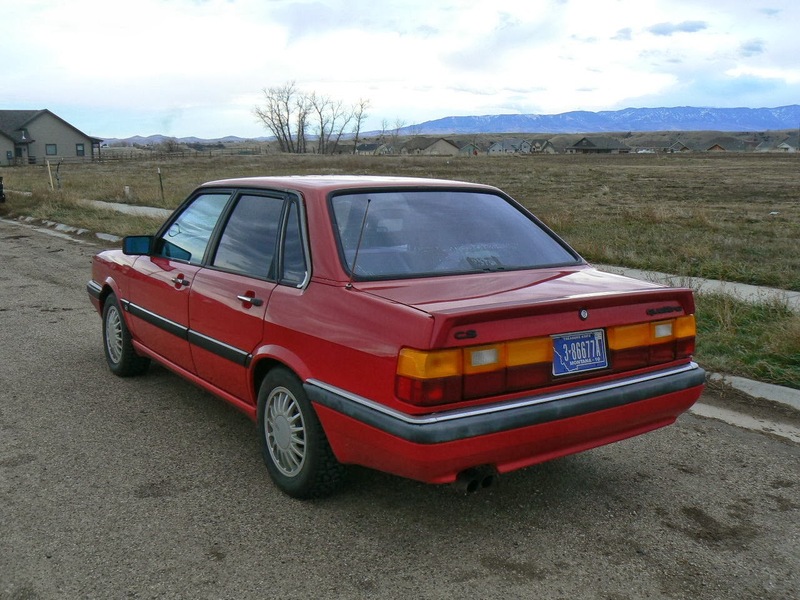 By the mid / late-1990s, it seemed like all the 1980s vintage Audis were gone. Each year that point is hammered home when I attend Lime Rock's Historic Festival (aka Vintage Fall Festival, which what I still, and probably always will, call it). There are rows of BMWs on display. Every imaginable model and sub-model. This year there were 4 Audis. That was up from three the previous year. Older Audis just don't exist anymore. 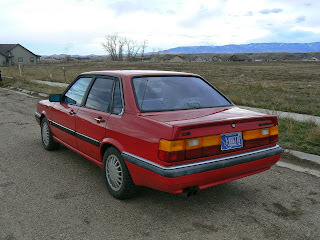 Known as the Audi 80 in most of the world, the 4000 is to current A4 owners what the BMW E30 is to current 3 Series owners. A milestone car. In technology, comfort and luxury, it was way ahead of the car it replaced in North America, the Audi Fox. (Which was a cool car in its own right.) With available quattro, it laid the ground work for Audi's future compact luxury cars. 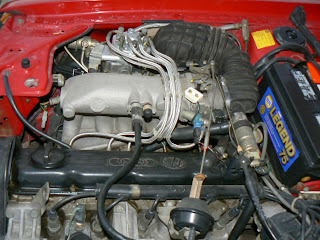 The 4000's body was designed by Giorgetto Giugiaro. It wasn't quite as slick and futuristic as the 5000, but the design has held up well. This Audi 4000cs Quattro has somehow survived. Survived quite nicely, in fact. 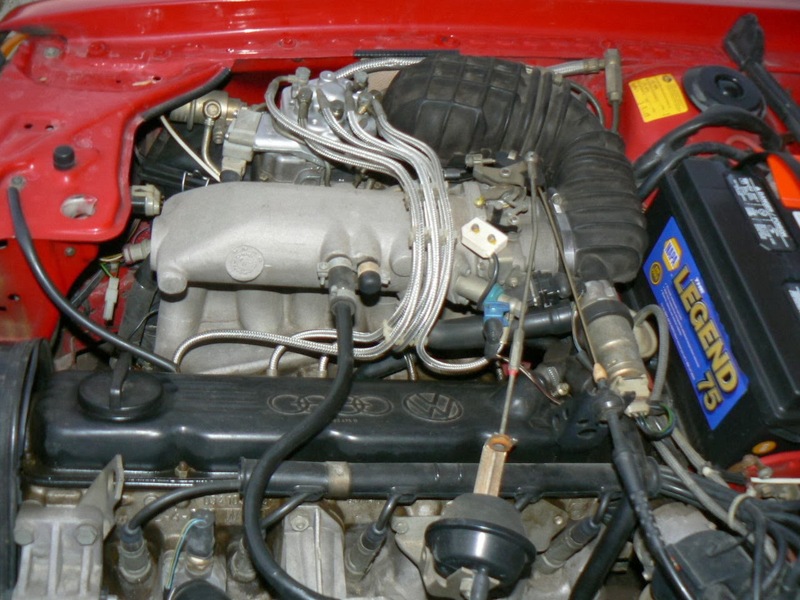 Originally a California car, this 4000cs is said to have no rust. (Audi seemed to do a better job at rust-proofing their cars than most other car companies did back in the 1980s. Still, they are metal and therefor rust.) It has just 100,000 miles on it. The interior looks great, as does the body. The seller says its only flaws are a non-operating power antenna, some faded black trim and temperamental power window switches. All of those minor flaws are common on Audis of this vintage. The rear windows have aftermarket tint on them which is bubbling. Personally, I dislike dark tint and would just remove it. Since the 60 Minutes report, Audi, to its credit, not only persevered, but eventually thrived. Years from now there will most likely be rows of then classic "A" Audis at vintage car shows. Until then, if you want a classic Audi, one that could be driven everyday, this car would be a good choice. Located in Billings, MT, click here to see the eBay listing. Looks to be in great condition. Owned one in the late 90's and was, by far, the best car in snow. Much more grip than my '91 200q 20v and '93 V8 quattro. These are getting hard to find in nice condition, and prices have risen over what they were just a year ago. Very few low mileage ones exist today, simply because they're so fun and easy to drive. 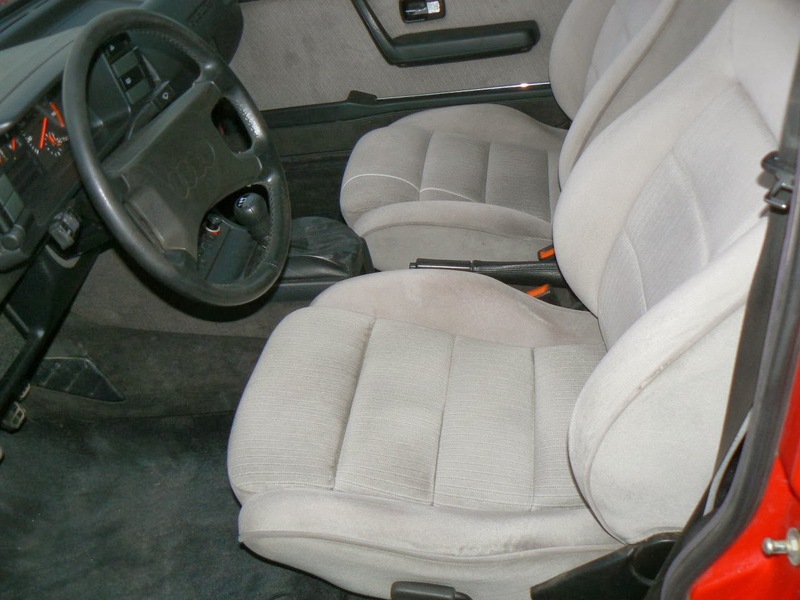 Unfortunately, it looks like there may be some shill bidding afoot with this listing, as one particular bidder seems to be putting in multiple bids on all three of the cars this seller has up for auction.